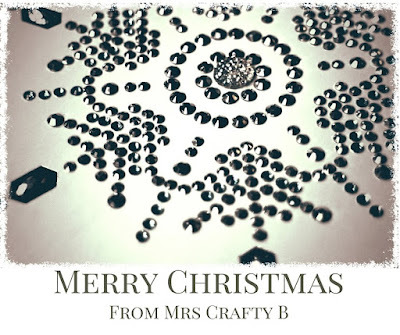 From all of us here at Crafty Bs HQ, we would like to wish you and yours a very Merry Christmas and a wonderful New Year. We hope you have a lovely time spent with those special to you. 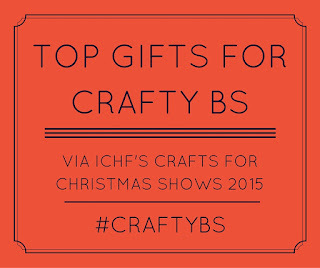 This year at ICHF's Crafts for Christmas shows I was spoilt for choice. Not only was there plenty to inspire my own crafting projects but I was able to peruse some lovely handmade items. 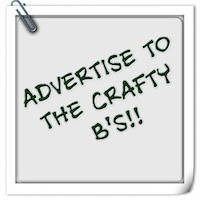 As a crafter, I understand the work that goes into hand making items and I where I can't make gifts myself, I am really keen to buy handmade where possible. I discovered lots of great exhibitors at the shows and found some great gifts that would be suitable for the crafty people you know or anyone who would appreciate something handmade. Here is a little run down of some of the items that I found and how you can find them. I have found something special. 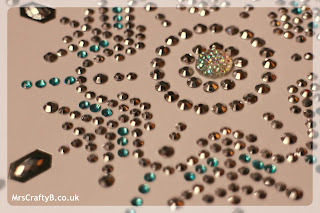 Something sparkly, therapeutic, nostalgic and just downright pretty! I have been using a DIY Crystal Card Kit by Craft Buddy and I literally could not wait to tell you about it. Most of you will know by now that I like getting out and about around the UK. I can't claim to be well travelled across the globe but I love visiting places big and small across the UK especially when there is something going on the get involved in. 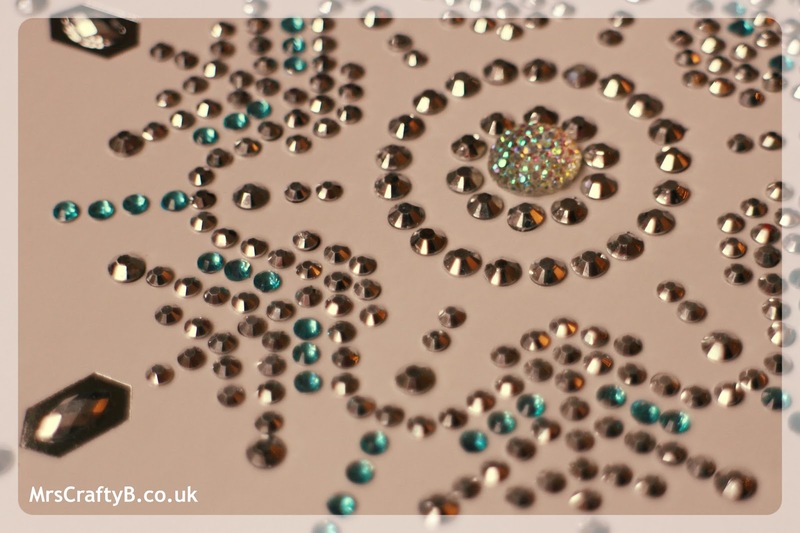 With the ICHF Craft shows at the NEC each year and with lots going on as the UK second biggest city, a trip to the City of Birmingham is a must. In the past I have visited the Bullring shopping centre, The Museum and Art Gallery, browsed the Christmas market and I am no stranger to the NEC. This year I have a new ornament hanging on my Christmas tree. 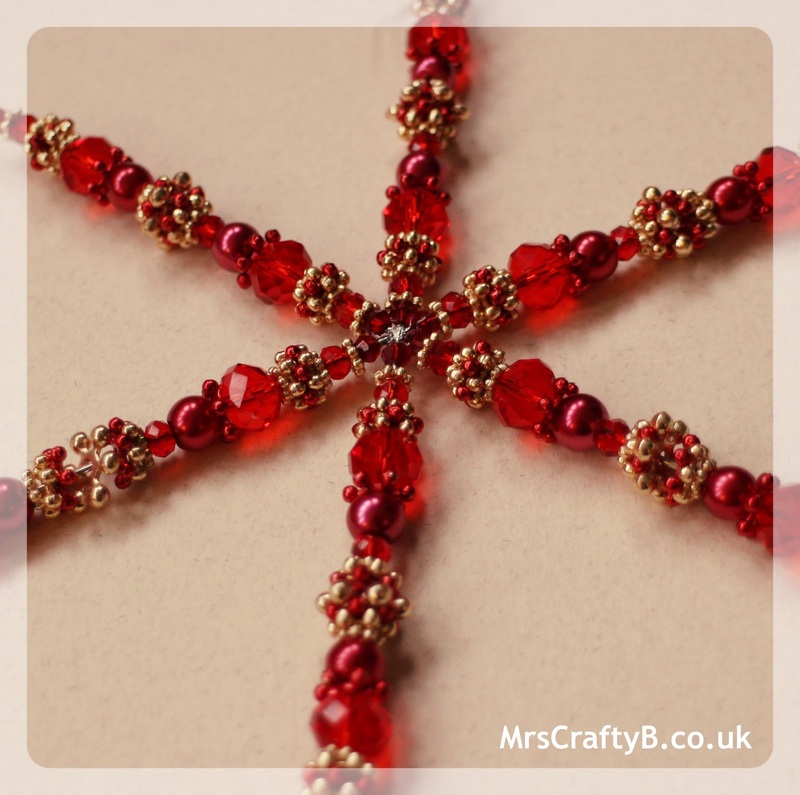 It was not made without difficulties (I can assure you) but this beautiful snowflake ornament was made with a kit by Riverside Beads. As a self confessed hoarder and craft obsessive, I can't resist trying out the latest craft products or adding to my stashes of paper, ribbons, fabrics etc. I love that I can be creative with no limits using the materials that I have; but every now and then, it is nice to have a project that is readily designed with everything I need. Something that is ready to go in an instant so I can pick it out of a box for a night in front of the telly. 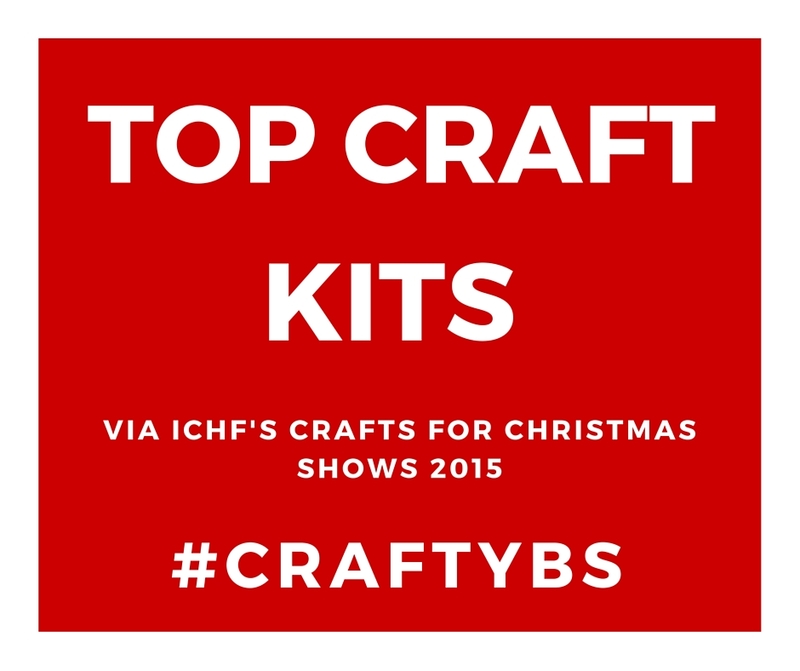 On my recent trip to the ICHF Crafts for Christmas shows, I decided to make a list of the stand out craft kits that I came across. 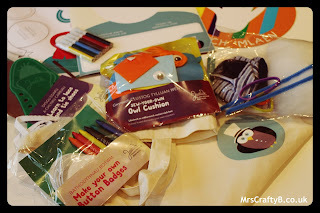 I have had a chance to review a couple of the craft kits I found (more to follow); the rest are certainly on my wish list! We have had handmade gifts and baking thus far on #CraftyChristmas but Christmas wouldn't be Christmas without some more handmade decorations! 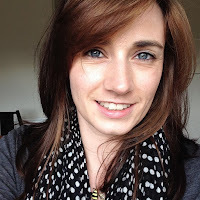 Hi I’m Gem, I blog over at Gem’s Country Life Dream. I’m a twenty something girl loving life in my little countryside home in Essex with my husband and chickens, blogging about lifestyle, crafts and home décor. 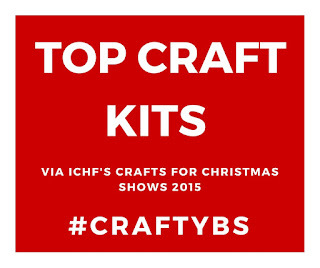 We have already had some inspiration for handmade gifts on the #CraftyChristmas takeover. Now it is time to get our knit on with Eleanor of ELMrocks who is sharing how to knit this Scandi style whisky flask sleeve. I always find that it's so much easier to make homemade gifts for the women in my life and I really struggle to add that personal touch to presents for the male members. I'm not saying that whiskey is just for the chaps (it's my favourite thing to drink), but I'm sure your dad, husband, brother or uncle would love hip flask made festive with this cute sleeve. And the girls'll like it too, I reckon. This year I have homemade candles on my 'to make' list so I could not be happier that one of the contributors this week, Rebecca of Becster.com, is sharing how to make these cute little jar candles. 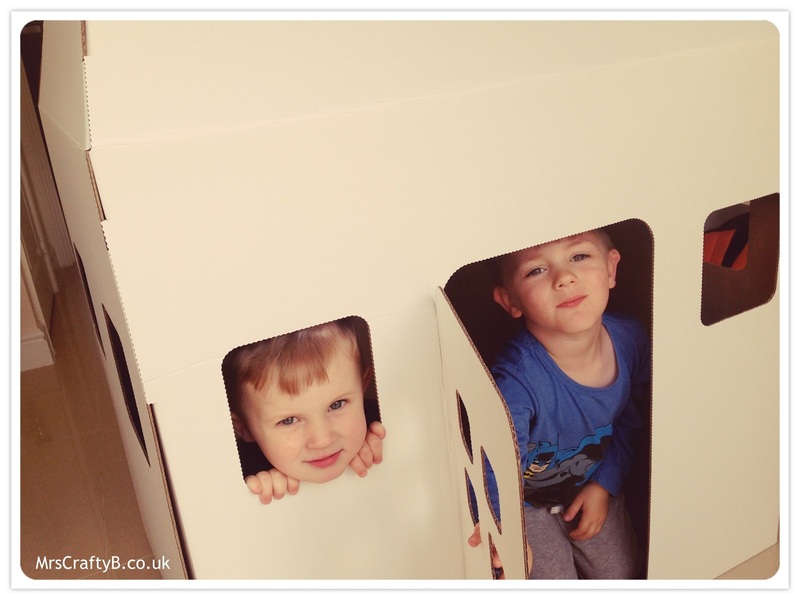 A great project for #CraftyChristmas and what's more, we all love a bit of upcycling! Last year we were feeding Little Miss ready made jars of baby food after the complete failure that was baby led weaning! So of coure we went through quite a few jars - at least 3 jars per day so as you can imagine, our recycling boxes got quite full with these cute little glass jars. 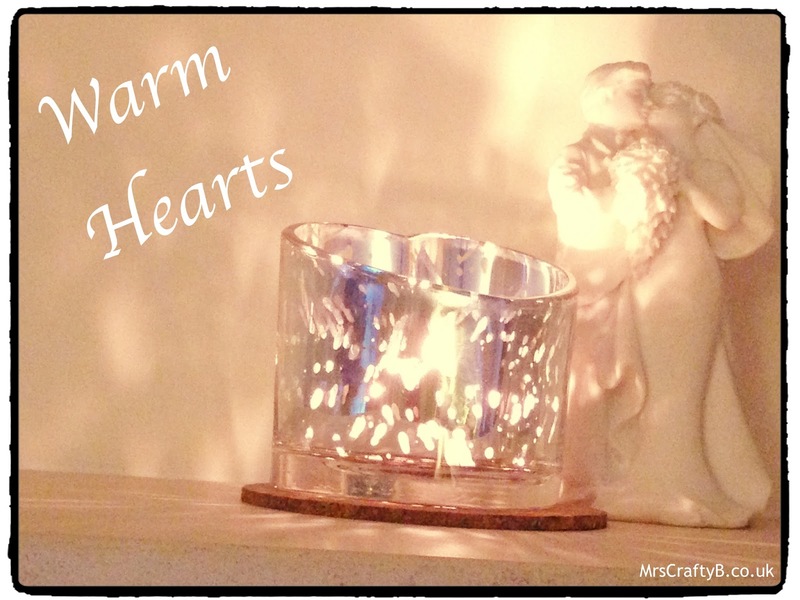 After throwing a few out (recycle I must add), I thought that there must be something I could do with them….. and so I came across the idea of making some simple homemade scented candles. 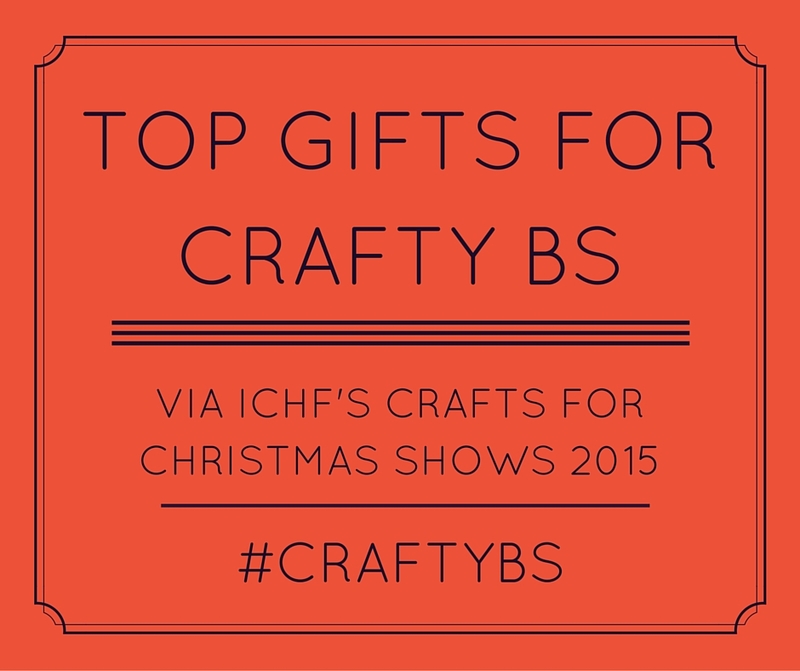 I don't need to tell you #CraftyBs how much I love the idea of handmade gifts. With so much inspiration all over the web, it is easy to get carried away and overwhelmed (a common practice at Crafty Bs HQ). Handmade jewellery doesn't have to be over stated and Zen from Happiness Wherever is up next for #CraftyChristmas sharing how you can make this very classic looking bracelet very simply! Christmas is round the corner and a lot of us are busy with our Christmas shopping. 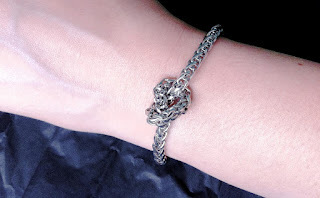 But as they say, the best gifts are handmade ☺ So here’s a simple, classic bracelet project- you only need basic plier skills and 5 minutes to whip it up! Today for #CraftyChristmas we are joined by the lovely Louise of Pink Pear Bear who is giving us a lesson or two in making Christmas crafty and sparkly. What more could you want?! 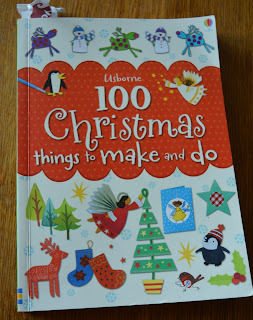 Louise is drawing inspiration from this fabulous looking Usborne book '100 Christmas things to make and do'. I'm lucky enough to have several shelves jammed full of craft idea books, many of which are kiddy ones, as I can't resist when I see an offer on. In actual fact, all the ideas came from just one book. It was small and light enough to take out and I ended up finding so much in there I didn't even need to look at the others. My craft bible for this post. You may or may not have noticed that #MeettheMaker has been taking a little break. 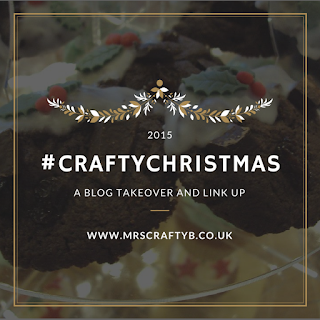 #CraftyChristmas is the perfect opportunity to bring it back for 2016 and I am pleased to be featuring Louise of Tiny & Toad with her very lovely crocheted Christmas wreath! 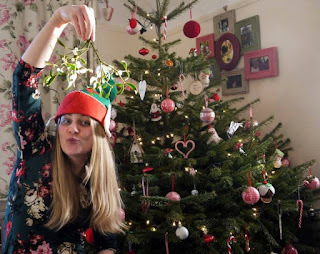 Welcome to the first post of #CraftyChristmas with Sally Akins. What better way to start than with some delicious Christmas baking. I am sure you will be whipping these little gems up in no time. 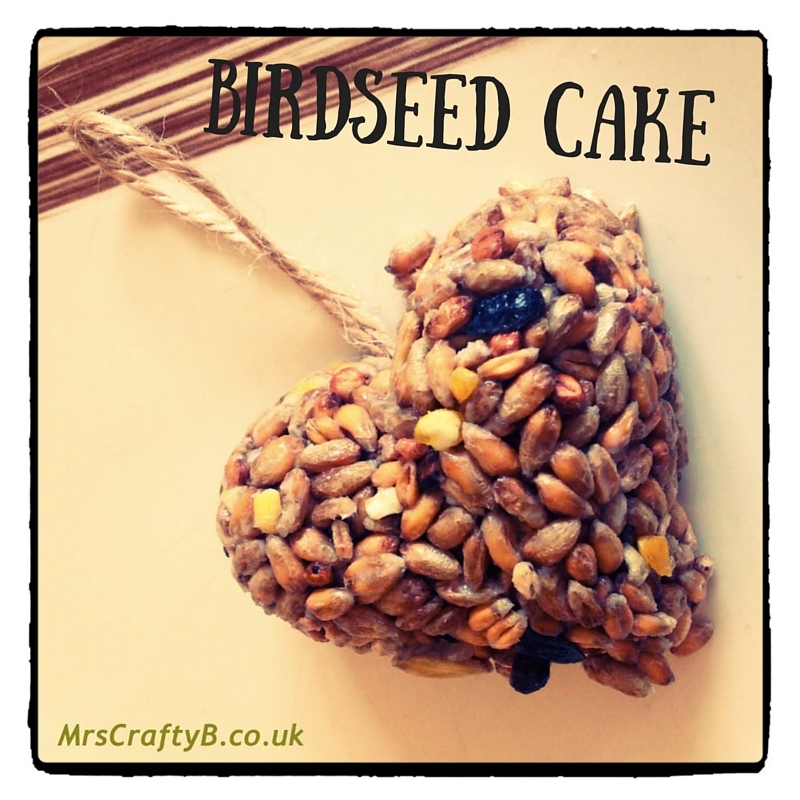 Perfect with a cuppa whilst you are catching up with the latest #CraftyChristmas link ups. Mince pies are one of my favourite Christmas foods, but I have very warm hands and I can't tell you how many times I have had to throw away a batch of pastry. 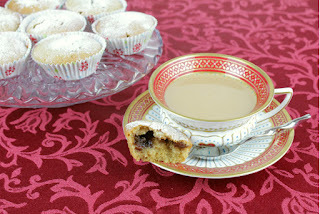 So I really love these little Mince Pie Cakes. They're incredibly quick and easy to make, and have all the flavour of mince pies without the hassle of making shortcrust. Be inspired by posts all about home; moving house, decorating, DIY, handmade for home, crafts, family activities, recipes, gardening and more. Don't forget to join in this week and add your own posts if you are a blogger. It's time to talk Christmas! I know I have tried to avoid it a little bit but after two Christmas based events this week and with Baby B getting excited, I have given in. Mince pies are being stocked, gifts are being planned and I am desperate to get a tree up. I normally refuse to think about Christmas until December, usually it is after Hubby B's birthday which is at the start, but Baby Bs enthusiasm is making me keen to embrace it. Unfortunately I have not yet convinced Hubby B that it is acceptable to put the decorations up in November! One of the best parts (which I don't have to wait for) is Christmas themed crafts and I would love to see what you have been up to with your #MiniMakers. 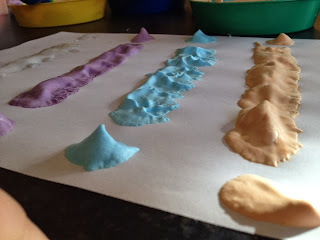 I haven't got our crafting underway yet so this week I am featuring a recipe for puffy paints. I think these would be great for Santa faces on paper plates or cute penguins! Have you ever tried these? 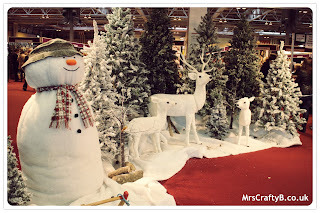 You will have seen recently on my social media ramblings that I had the pleasure of visiting the ICHF Crafts for Christmas show at the NEC in Birmingham. Not only did I return with an eagerness to get Christmas underway (yes yes I know!) 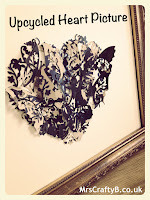 but I was totally inspired by new projects, craft supplies and products. I met lots of lovely new people as well as catching up with some familiar faces and ICHF did not fail in putting on yet another great event. Festive offerings all round, Christmas displays and a live band. I was not disappointed. Be inspired by posts all about home; handmade for the house, moving house, decorating, DIY, family activities, recipes, gardening and more. It’s all here under one roof at Mrs Crafty B’s. Don't forget to join in this week and add your own posts (see end of this post to find out how). Most of you will not be thinking about the garden at this time of year, however I have it on good authority (from Hubby B) that now is the best time to put in your spring bulbs! Even if you aren't a huge gardening fan, everyone loves a few flowers right? Especially if they are low maintenance. Hubby B will be out this weekend (alongside various other DIY jobs I have planned for him) to put in clumps of daffs, tulips, crocus, snowdrops and whatever other 'pretty' things I agreed to during our online shopping spree. Popping bulbs into the ground is a fun and easy activity for your #MiniMakers to get involved in but if it's not your thing there are other fun 'garden' activities to keep those green fingers busy. 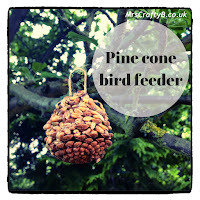 We haven't done much in our garden yet and being on a newly built site, we are lacking a bit of wildlife. 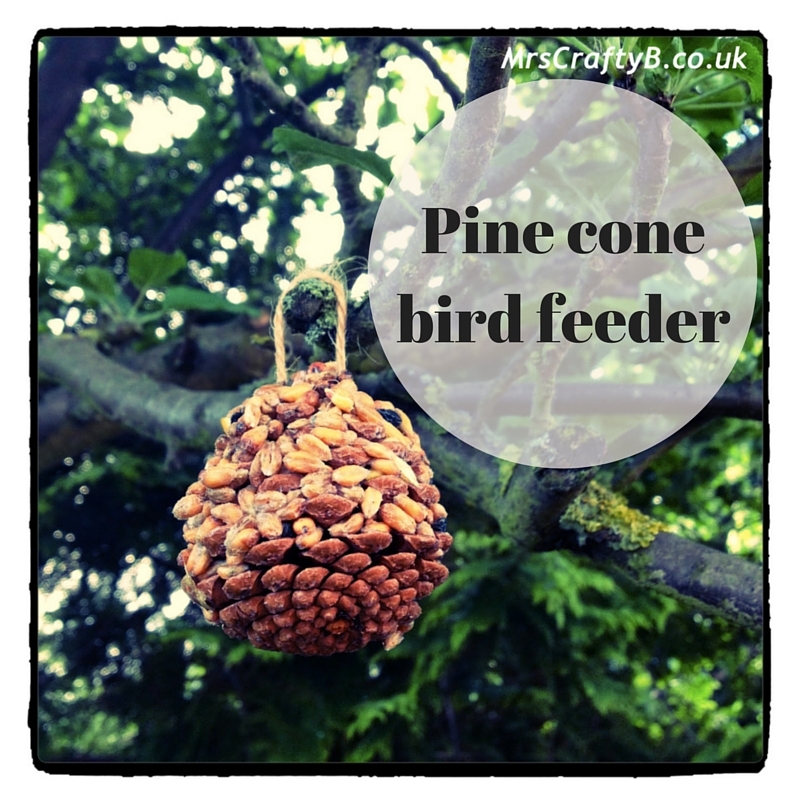 We are hoping these homemade birdseed cakes and pine cone bird feeders will help us along the way with bringing back a bit of an eco system to our outdoor space. Over the last few weeks my #MiniMakers have had the pleasure of dipping in and out of their very own JacDo 'treasure chest'. If you haven't yet discovered JacDo; this is one not to miss. Especially with Christmas around the corner. Be inspired by posts all about home; moving house, decorating, DIY, family activities, recipes, gardening and more. 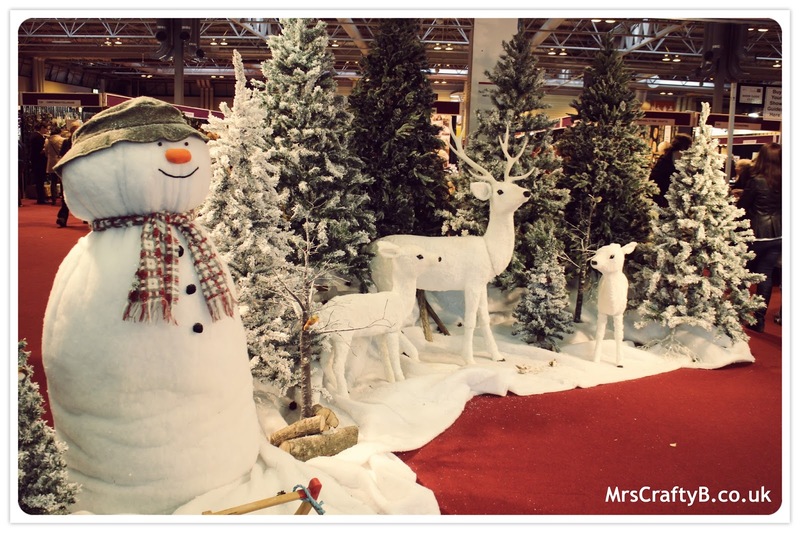 It’s all here under one roof at Mrs Crafty B’s. 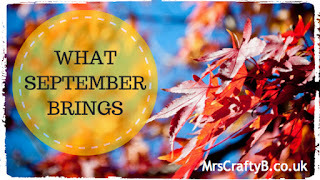 Don't forget to join in this week and link up your own posts! The linky is now open until late Wednesday. Huge news! We have finally got our backsides into gear and got ourselves a blind and some curtains to dress the windows and patio doors in the kitchen and dining area. I cannot tell you how happy this makes me and I will be showing off our kitchen decor very soon. 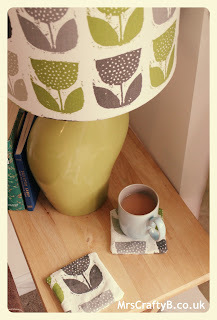 Today I am embarking on some crafting missions including sewing some handmade gifts, making another lampshade and maybe doing a bit of baking. 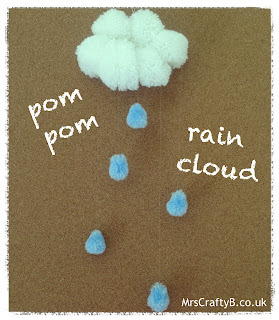 In order to inspire you #CraftyBs out there to get crafting this weekend I have dug deep into the Mrs Crafty B archives and found a post on how to make paper pom poms out of napkins! So effective and great for matching your dining decor. Here at Crafty B's HQ we are big fans of dressing up. The Little Bs have a dedicated storage unit in their room with all manner of costumes and items to use in role play. 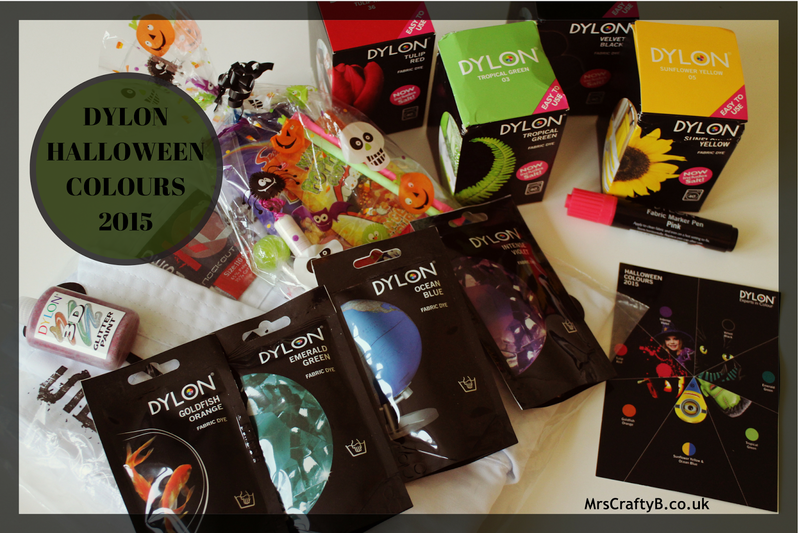 With a few ideas of what the Little Bs might like I was keen to find out what Dylon had come up with for this years Halloween palette. I was not disappointed. It is ever so convenient that #MakingHome falls on this day. 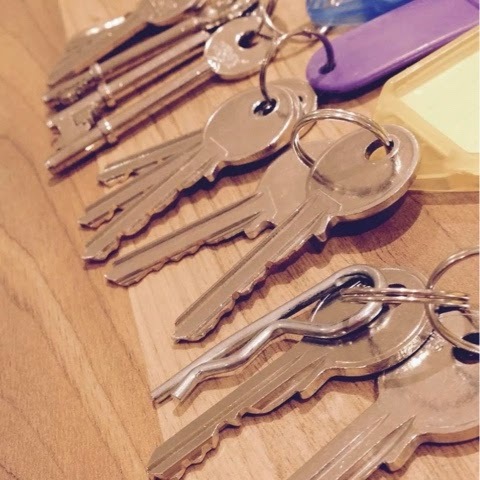 Today, one whole year ago we arrived at our new home having bought for the very first time together. We moved from the beautiful Cambridge where we had married and had two wonderful children, to the depths of the Welsh Valleys. Three and a half hours away from friends and family, to a place we knew nothing about. Having taken a huge risk and bought straight in, you could say we did ok. We have a beautiful 4 bed house with a large garden, lovely neighbours and a quiet street. It hasn't been without its difficulties though and as much as I count our blessings everyday I also dwell over woes that I know so many of you will be familiar with. 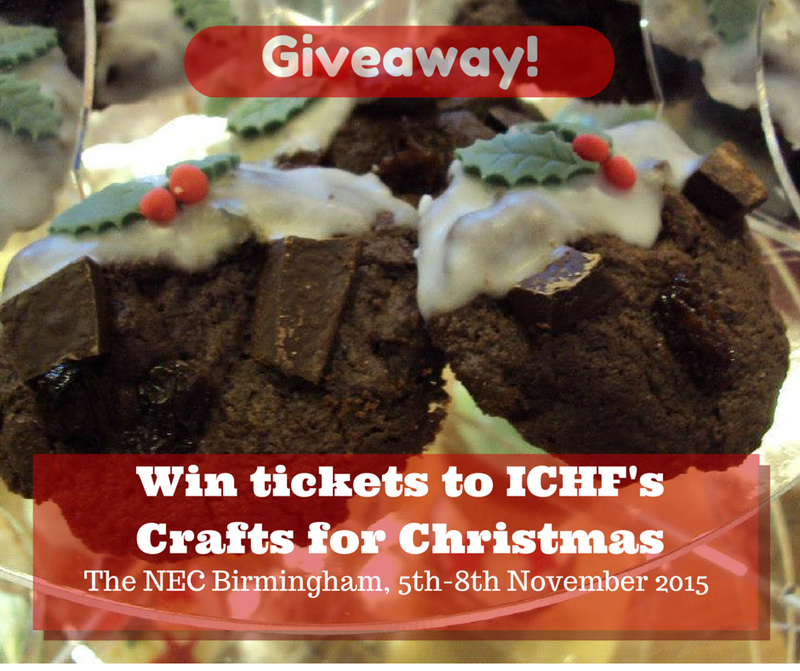 GIVEAWAY: 3 Pairs of Tickets for ICHF's Crafts for Christmas! On the 5th - 8th November, ICHF are returning to the NEC in Birmingham with Crafts for Christmas, The Stitching, Sewing and Hobbycrafts Show at Christmas and Art Materials Live. I recently ran a competition giving you the chance to win a pair of tickets. Well, I now have not one but three (yes THREE!!) pairs of tickets to give away to 3 lucky winners! This week I wanted to share with you a post I wrote recently when my Little B's took on their own #MakingHome project. 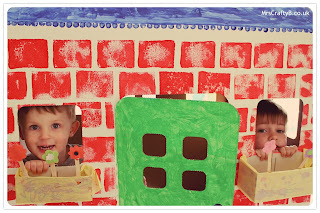 Baby B was very specific about how he wanted to decorate a cardboard house because he didn't want the big bad wolf to get him...curious? Catch up here. 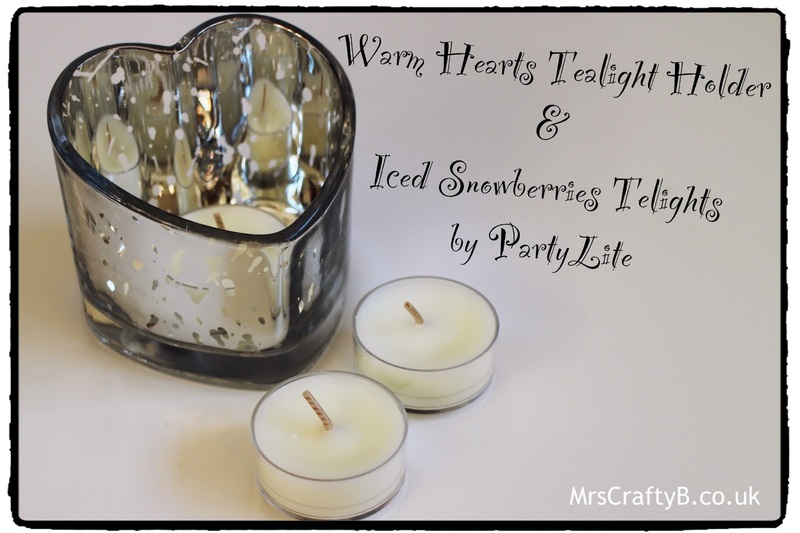 You may remember that last week I posted about some great products from PartyLite. My favourite was the Warm Hearts Tealight Holder which gave an atmospheric glow from a singe tealight. Today I am being hosted by the lovely Gem over at Gem's Country Life Dream. 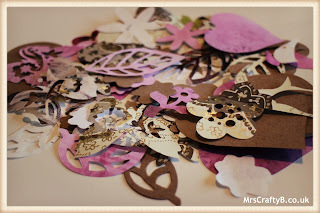 Paper bunting or a paper garland is a simple but lovely decoration and easily made for those DIY weddings or parties. 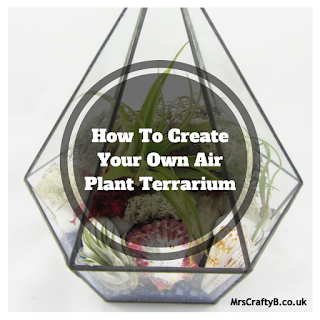 Pop on over and see how to make your own. I have been trying to find some time and motivation to get our front room painted this week but having just started a new part time job I am finding it hard to say the least! I am hoping that a boost in finances will help us along the way with our #MakingHome journey; I have a long wish list! Alongside trying to get myself in an organised state the last few days, I have been thinking about Christmas! I know I know its October but this year I would like to make a few personalised gifts, so I have been experimenting. I am talking hot chocolate stirrers and chilli chutney. With that in light, I thought this week I would share this sewing tutorial. 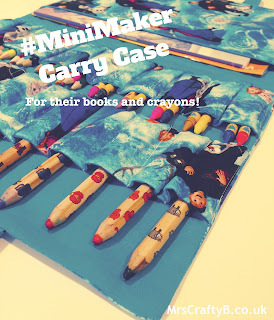 This carry case for the Little Bs' colouring books and crayons is really handy in keeping my under stairs cupboard tidy and is easy to grab for long car journeys and weekends away. 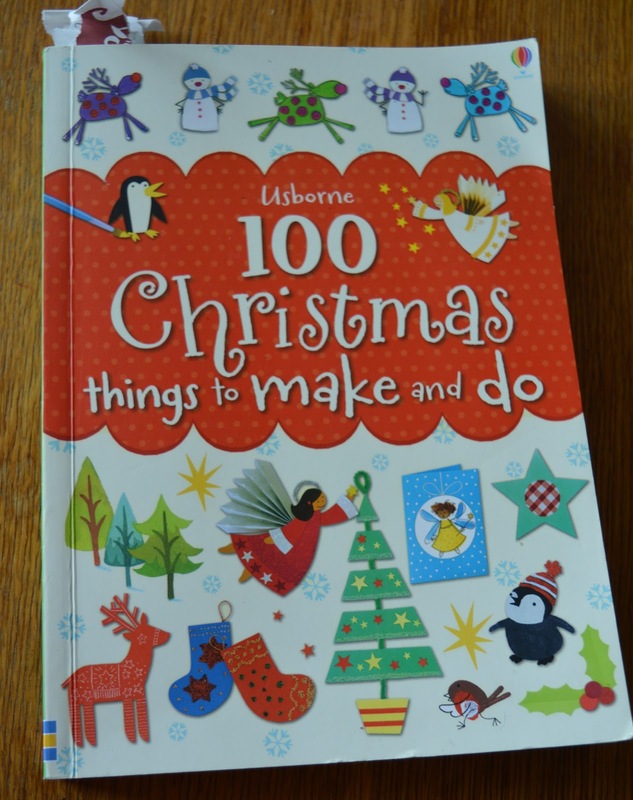 I think it would also make great Christmas present for any #MiniMakers out there. What do you think? I recently conducted an online poll in which over 45% of the participants said that fragrant candles were their favourite way of scenting their home. I only ever use fragrant candles but alongside scent, the warm glow of a candle adds something extra to a cosy evening in. 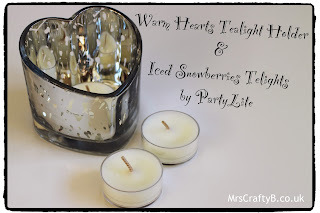 Being a fan of lighting candles in the home for various occasions I was excited to be asked to review some products by PartyLite. Very recently I have been a bit more focused on trying to get my craftiness back. I really want to channel this into making some lovely items for our home but the list of things I would like to make is far too long! I've been trying to narrow it down to functional usable things for now and whilst looking in my bag of unfinished things this week, I found a half finished crocheted jute twine basket. The first one I made is sitting on a shelf in our front room (with more unfinished craft projects in it). These are great for storing odds and ends and look good too. I've been wondering if I could make a larger version for toys in the front room or maybe washing. What do you think? Great news! 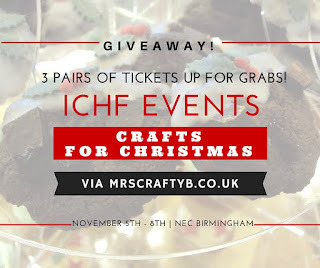 Not only am I heading back to the NEC in November for another great event with ICHF, I have a pair of tickets to giveaway to one of you lovely lot! In light of actually getting some paint up on a few walls and of course finding my crafty self again, I have been having a think about the personal touches we can put on our home. Hubby B and I have very different tastes so this can sometimes be a bit of a challenge. I've decided to start with something simple. Lampshades. Much to the dismay of most of our visitors, we are still bare bulbed around the place with the exception of our front room which is sporting the lampshade I made for the Hillarys craft competition. I have a real liking for these lampshade making kits and I have picked up some superhero wallpaper to make one for the boys room. I love that I can have something that no one else has, even if it's neutral! A bonus is that they are quite easy and satisfying to make. Have you ever had a go? Here is a little tutorial. It also includes some matching washable coaster covers. When we lived back in Cambridge, we were really lucky to have a long driveway with a blackberry bush along the whole length. We also had sloe berries and three types of apple tree on our property! As you can imagine, I didn't need much more of an excuse to bake apple and blackberry cakes, muffins, crumbles and flapjacks around this time of year. Although we told our friends and neighbours to help themselves, we were not short of blackberries so I would try and freeze them for future bakes. 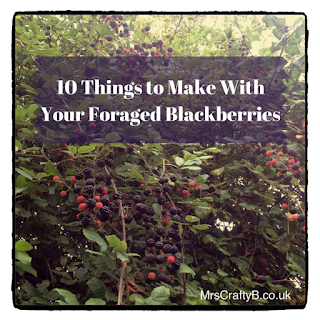 It's around now that people head out to find blackberries (now I haven't got them literally on my doorstep, this means me too!) 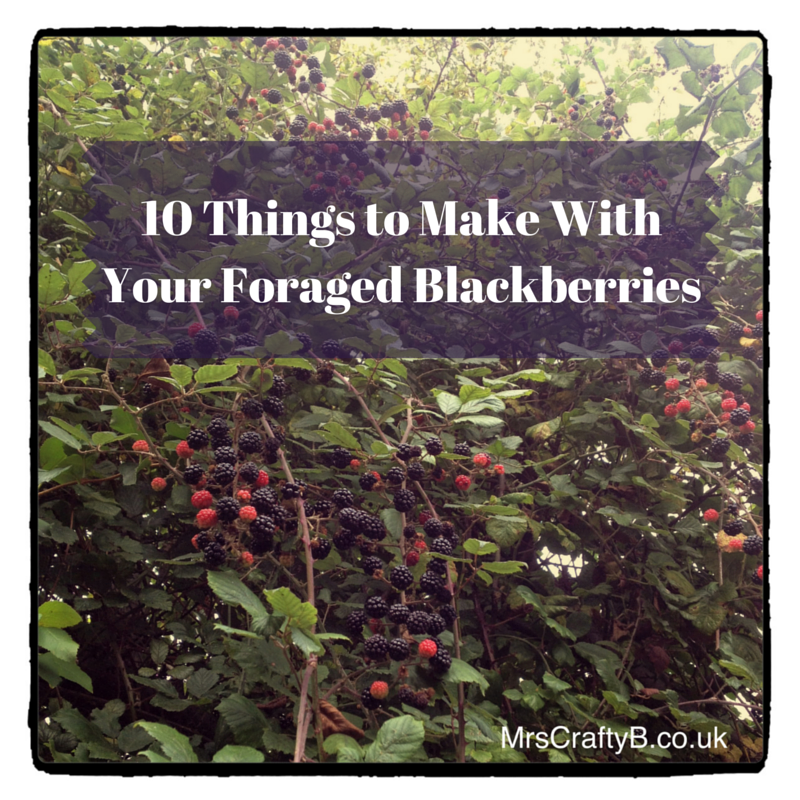 so I thought I would gather a few recipes from around the bloggosphere and suggest 10 things you could make with the blackberries you manage to forage. Anyway, I'm feeling in need of getting my crafting routine back with my stress levels running a little higher than I am used to and I certainly need to get back to baking; this weekend I plan on making some millionaire shortbread but in the meantime, I thought I would share this recipe for oaty banana muffins; perfect for a weekend brunch. Spring is the season of new life and fresh beginnings; but come autumn, September brings a whole host of new starts and excitement. 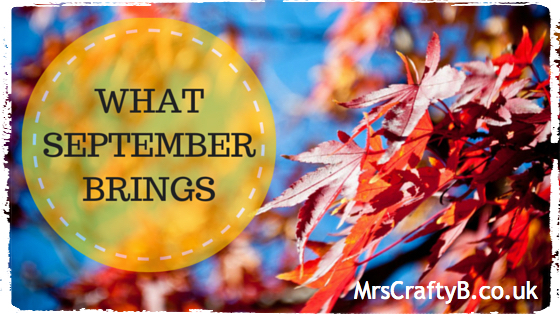 Here is why I love September and a run down of things you have to look forward to! You may remember a few months ago that I acquired a neat little gadget that gave me the ability to make up to 20 pom poms in one go. The Multipom has been hiding away for a short while with the busy summer we have had at Crafty B's HQ but the list of pom pom projects is ever growing. 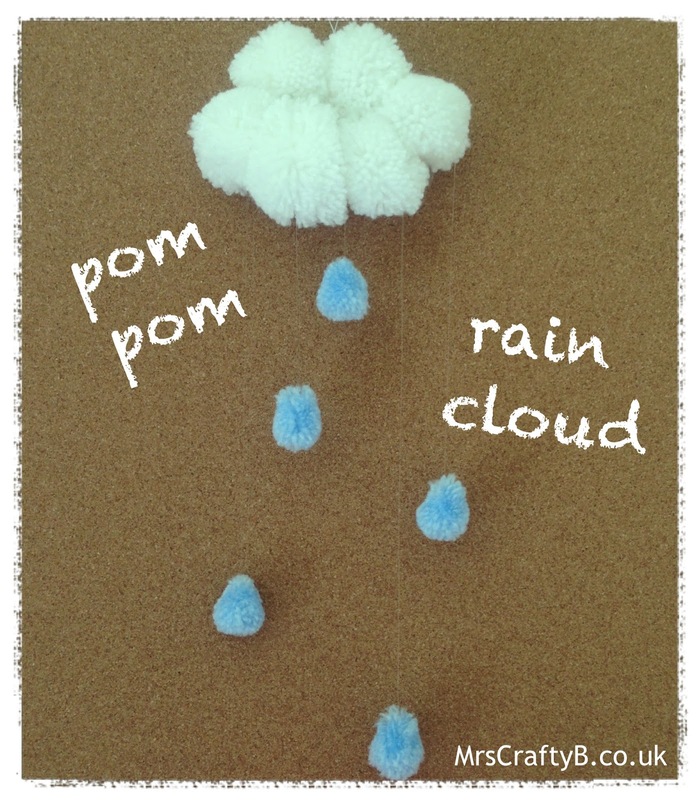 In this post I am going to give you a little instruction on how to make a cute little rain cloud with all those pom poms you will be making. Perfect with the coming of September. See, rain isn't all bad! It has been a strange week over at Crafty Bs' HQ with a big change in routine imminent. Whilst as Mummy I am concerned about the effects of this change on the Little Bs, as a crafty addict I am thinking about how and when I am going to schedule in my crafty time. 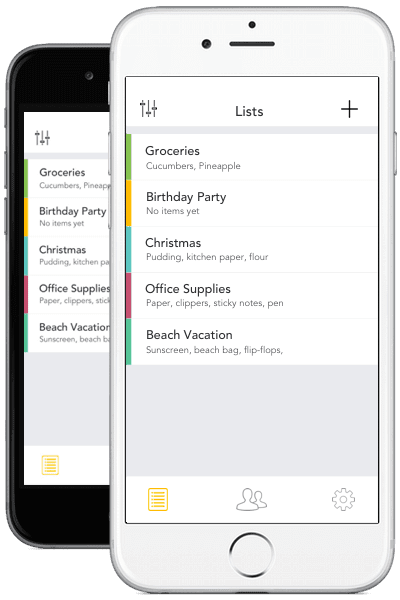 I am in desperate need of organisation tactics so with my FiloFax back in play and a new shopping list app in use I am on the lookout for great ways to stay organised. I wouldn't be without my family planner and for #MakingHome this week, I am featuring these upcycled magazine files which I turned into a file tray to keep track of mail, things to do and things to file! Over the summer holidays, the weekly shopping routine got to be a bit hectic. We were making more than one trip over a few days, going for random things, doubling up by accident and forgetting various items. Now the new term has started and I am working regularly, I don't have time to not be organised. 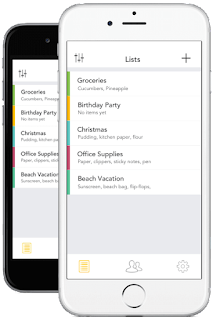 So imagine my excitement when I was asked to try out a brand new list app, Capitan. We all know I love a good list! Here is something I thought you Crafty B's would enjoy. 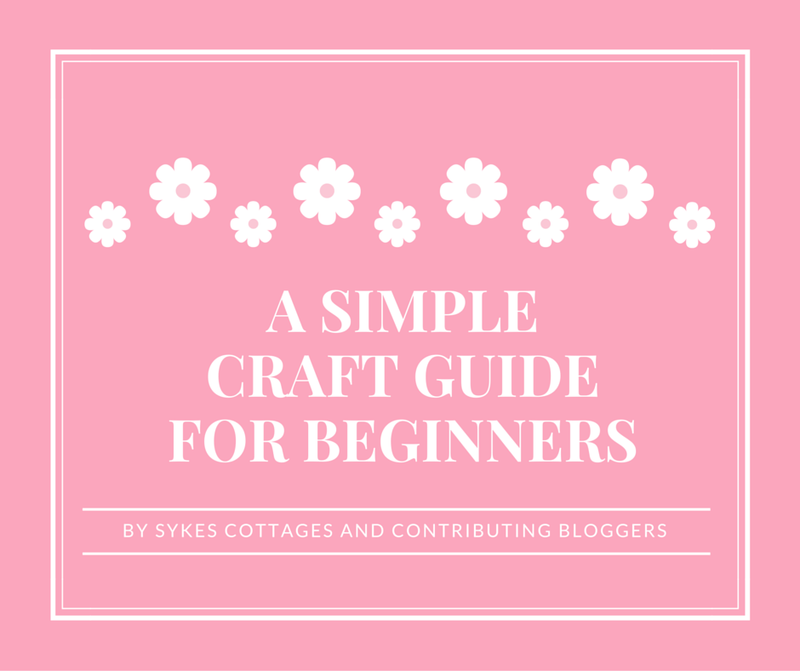 I have recently discovered this Simple Craft Guide which was put together by a collection of bloggers for Sykes Cottages. 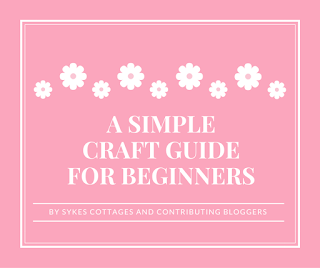 It gives you instructions for several simple craft projects to try your hand at. 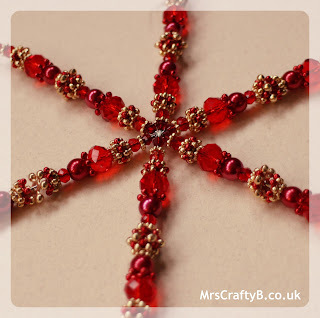 Perfect for a bit of inspiration or to get you into the crafting spirit. We had a busy week last week with all the painting going on but this week I have been scouring the world wide web for decor inspiration. Mainly I have been think about what to hang on the walls. I am really keen to have a 'gallery' style feature in the front room and in the Little Bs' room I would really like to go for some bright coloured and random frames with some personalised art. 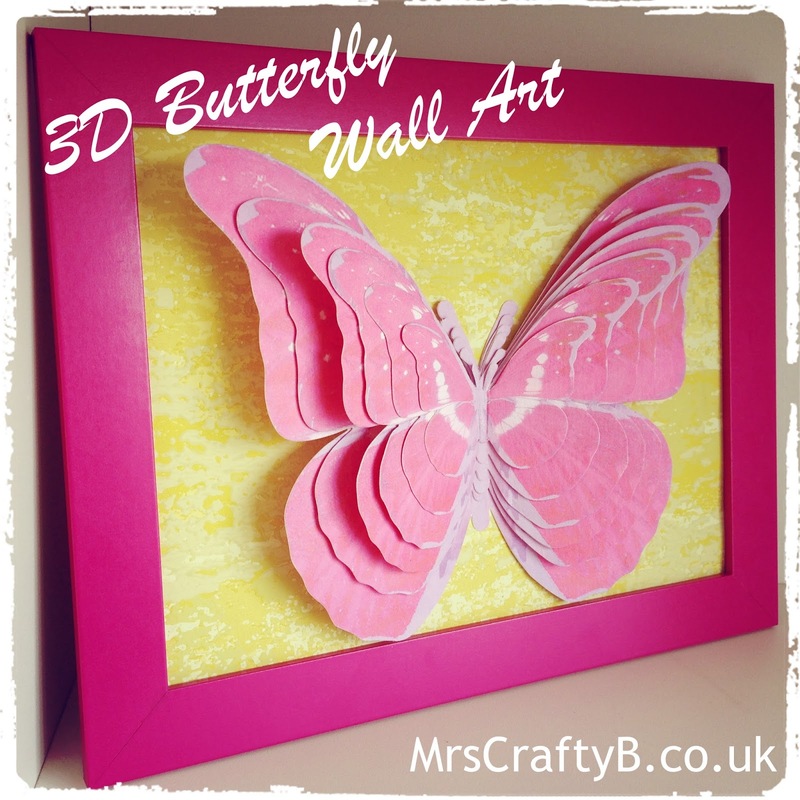 Of course I will keep you posted on that front but in the meantime, here are a couple of posts on how to make your own personalised wall art. 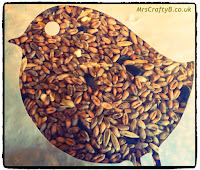 On visiting a friend of ours when Baby B was around 2 years old, he enjoyed putting seeds out each morning and watching the birds fly down to feed. 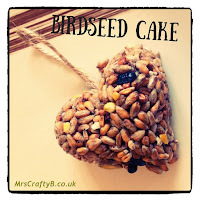 Always keen to encourage wildlife in the garden (and create a welcome environment for anything that will eat plant eating bugs) we then began to make our own bird seed 'cakes'. 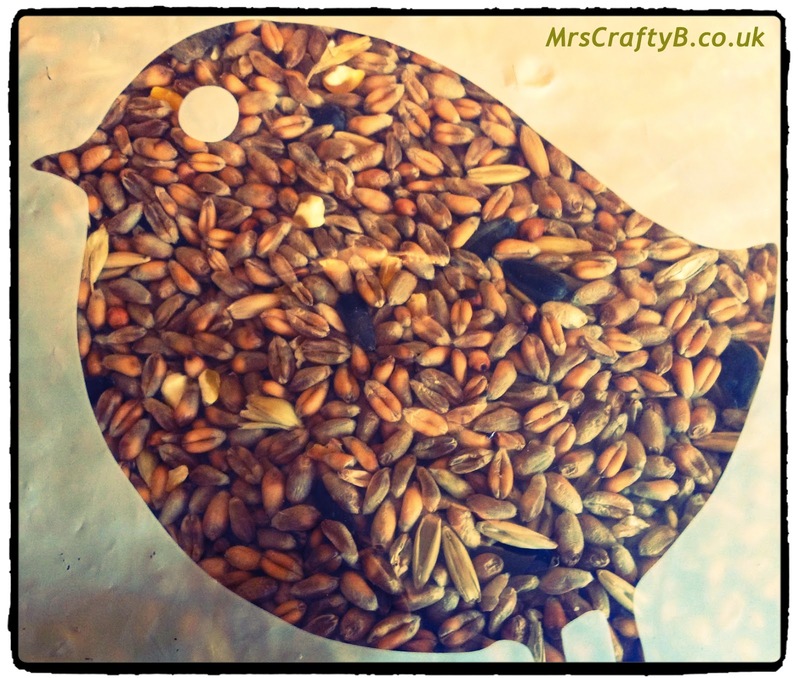 With the colder weather in sight and our feathered friends always being glad of a little extra food, these are great to make and store in the freezer ready for hanging. 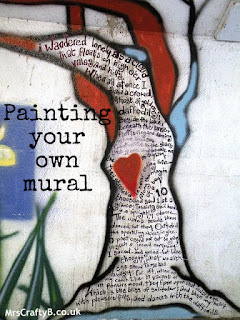 Our #MakingHome home journey took us into the world of paint colors, rollers, paint brushes and masking tape this week and I can't wait to share the results; but for now I am leaving you with a post all about painting your own murals. It might be a little clue as to what we have been up to! Very recently my niece became the proud owner of her very own bedroom! 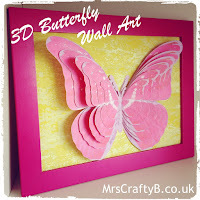 Adamant that she wanted it to be pink and yellow, I decided to make her something special to put on her wall. At first I thought I would make a box frame or some bunting; but then I spotted a pack of gift tags in my local IKEA store and became inspired to make this!